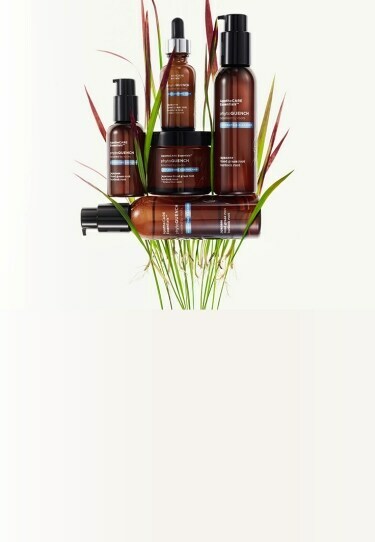 Formulated with Japanese Blood Grass Root and Burdock Root, the PhytoQUENCH collection captures the essence of the reservoir of the plant – the root – into advanced formulas for superior skin hydration. This collection replenishes fundamental skin nutrients and supports water retention for all-day hydration, quenching skin for a plumper, bouncier complexion. While the hyaluronic acid serum supports skin barrier function, the hydrating moisturizer locks in moisture. Discover a skin care routine for visibly healthier skin. Included at an active level in our products like our serum and lotion, Japanese Blood Grass is known as a survivor plant. It’s found in sandy and salty zones around the Asian and Australian seashores where few plant types can thrive. Its tiny roots trap and store water, maintaining effective hydration.